The AE 402 relay box is an add-on for the ABK, AFK, and the AE 402 Indicator. When installed, it allows the checkweighing limits to trigger a voltage relay. Once the trigger is set, the relay box will open or close a switch. This allows the scales to drive other items such as a motor for filling, or lights to signal the users. The relay box includes input for power to help drive the relays. 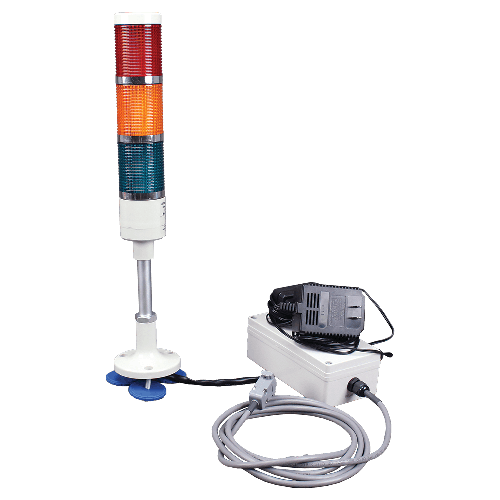 The light tower has 3 colors to let you know if your weight is over, under or within preset limits at a glance.